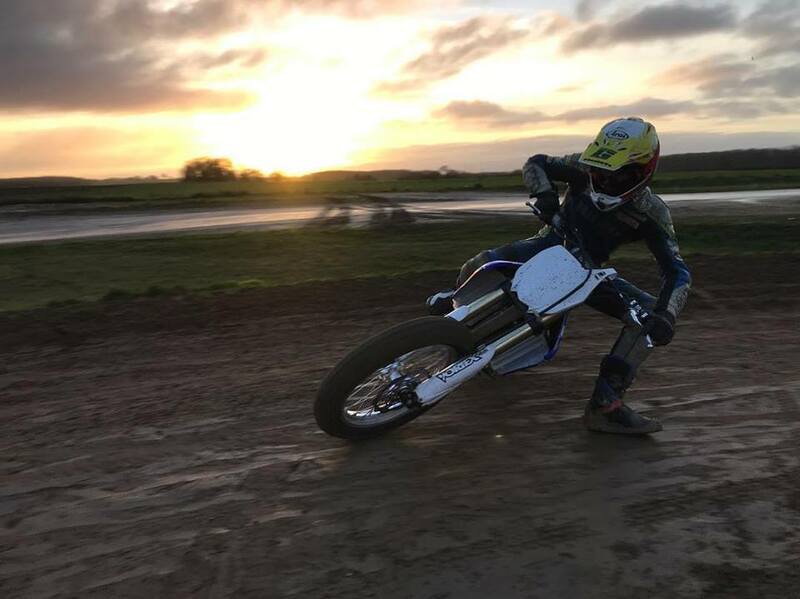 In the first part of our interview with young British Flat Track Racer Oliver Brindley, we learnt about his past, his emergence onto the UK scene, and about his dream to one day race in the USA. 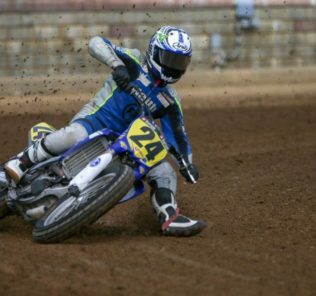 It is a dream that’s been fulfilled and this year he goes into his third season of racing the AMA Flat Track Championships in America. 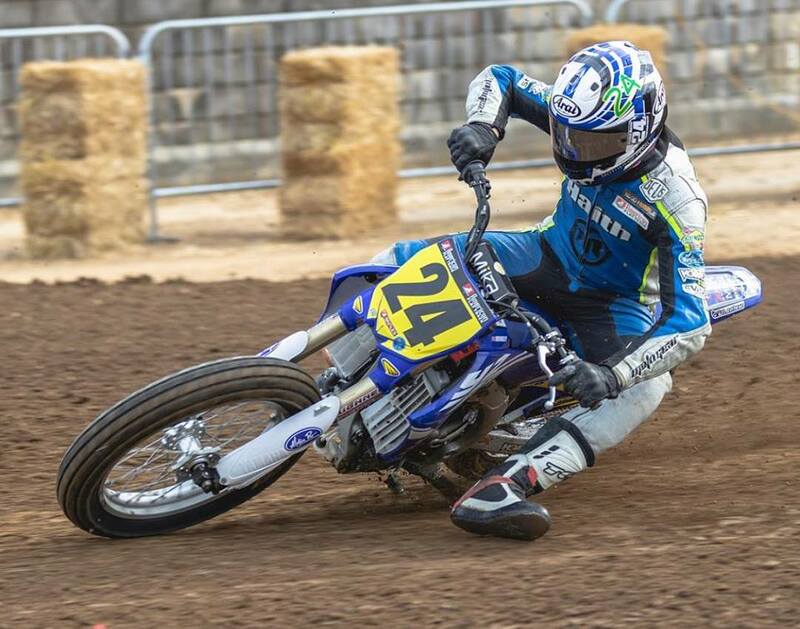 Oliver tell’s us more about the series and how manages as a full time Pro racer in the states.. 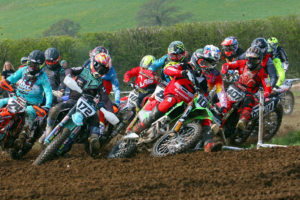 DIRT HUB: As part of the championships you ride in the States are there different class of bikes? What class do you ride in? Oliver: So my class is called the Pro Singles. The engine has to be a 450 in a Dirt track cross chassis. Basically any motocross bike, with a conversion, so 19 inch wheels and lowered suspension, they are the basic rules. You can’t change the displacement and this that and the other. Then there is the Twin’s class, which are home built chassis, which riders have made themselves with Homologated engines. DH: How many rounds are there in the American Series? OB: The last few years there have been 18 rounds, with a combination of the Mile, Half Mile and TT’s. DH: To get up into the Pro ranks did you have to qualify? OB: Not necessarily. Its actually pretty easy to get a Pro card. You’ve basically got to pass on a resume, a CV almost to prove that your capable. 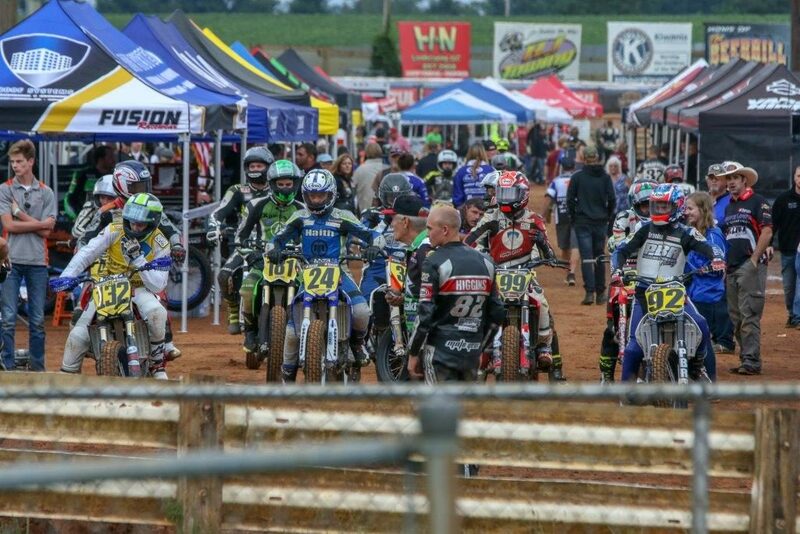 It’s not that difficult to get into the singles class, but you have got to consider, that once you have your Pro card you cannot race the Amateur Nationals and Amateur events. If you don’t do any good in the Pros you are going to have an awful time. There is no point entering an AMA National if you are not ready for it, because it will be a waste of money and time. DH: So what was your first AMA race like? Was it a shock to the system? OB: The first one I did was a little tiny short track, and it was the last one of the season back in 2015. I had just turned 17, and we did the Vegas finale short track, and I actually was the fastest qualifier in the singles, but I was a little more immature then and I threw it away in my heat race. DH: I bet it was a shock for the Americans to see a Brit coming over and doing that? OB: Yeah but then I lost my head a little bit as an Amateur. DH: Has there ever been any other British Riders go over to the US and do what your doing? OB: No one has been and had a good go at it. I think I have been the first one really. DH: What did the Americans think? Is it a big thing to have a Brit there, and someone from a different country taking part? OB: Yeah I think so, they handle me pretty good. I have been over there enough now. They are quite welcoming, but when I first came over I don’t think they knew how to handle things, it was a little tense I would say. DH: So has it helped being a British Rider in terms of getting sponsorship and backing over there? OB: I would say yes. It has definitely helped me get more well known I would say, and even meeting people. I have met a lot of people just because the way I speak basically. DH: So how do you cope with 18 rounds? Do you take in 3 or 4 rounds at a time, or are you over there full time? OB: I have got a visa, and I fly over about February and I came home 4 months in for a couple of weeks, then back out for another 4 months. So I only have a short time back here. I live in a camper van when I am over there. I have spent 193 ways in a RV, so I have been all over America and had a great time doing it. I don’t think it’s ideal for most people, but I love it. I wouldn’t have it any other way, its great. DH: Do you make a living out of it, or do you have to do a bit of work in between your riding? OB: Well time is an issue. I drove while I was over there 27’000 miles, which I do share with some of the people over there. So with all that over 8 months …. as you can imagine you race, then get back on the road and do another 1000 miles, so you cant really do anything else until I get back here and work for my family. You just have to try and find some sponsorship and hit all of the small races along the way. That’s what I do, go to all of the small Pro races which have a bit of cash on them, and make a bit of fuel money. So you live race to race. DH: With so much of it online we have managed to follow you quite a bit, and you have had some great results. What has been your stand out? OB: I would say it would be the Springfield TT and Short track. When we went there, I sort of excelled as it’s what I am used to riding over here and in Europe. The Smaller tracks have always been a strong point for me, and anywhere where riders ride over their heads, like slippery tracks and stuff like that, I seem to ride well at. It just seems to be my type of thing. DH: Where did you come in last years series? OB: 9th in points. The series was definitely tougher in 2018. I got ninth in 2017 too. People say it’s a pretty fair place to finish. 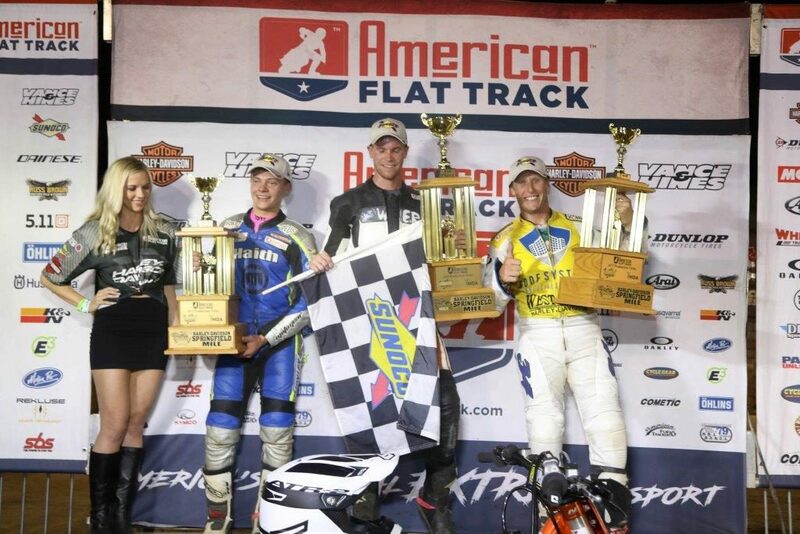 My best finish was third at the Springfield TT, 4th at the Atlanta Short Track and fifth at the Springfield Short Track. DH: Is it like the DTRA so they run heats and that decides your grid place in the final? OB: Yeah its pretty similar. So we start with a 4 lap practice session and then we get two qualifying sessions, which are 4 laps apiece. Then we get a heat race, where you need to make the top 11, then make the top 9 in the Semi Final to get to the 18 rider main. Its like one big knock out. You race all night to make the main and get a good start position, and then you get a 15 lap main. DH: How many riders does it start with? OB: There are usually 20 main guys who turn up to every single race, then there’s those who turn up as a one off. 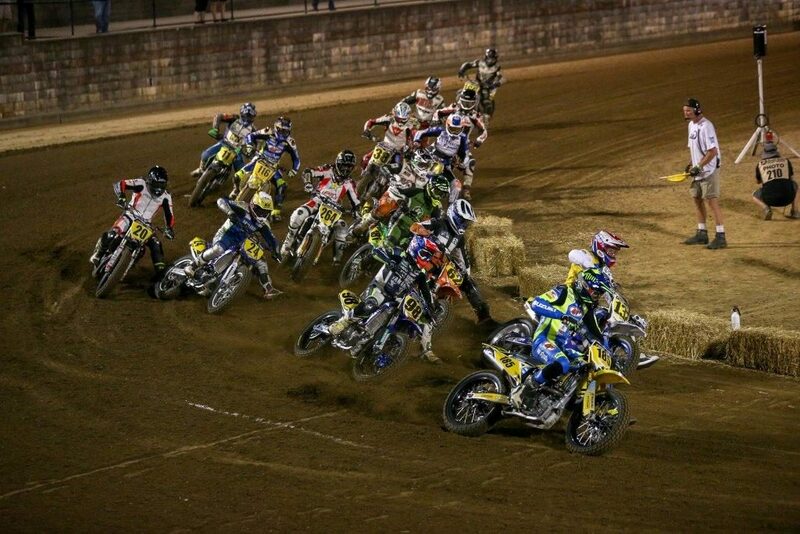 I think the most has been 78 riders, so you start with the top 48 in qualifying which go to the heats. So you only have 8 laps and you could be out, so you have to be on it from the get go. DH: So you have been Ninth for the last two years, what is the goal for 2019? OB: The singles class is definitely a tough one, but there are riders who are moving up out of it, so I would set a target of top 5, if not better. If I could do that I would be happy, and then from there we will see what happens. I would like to at least win a couple and make some podiums. That would make it for me. DH: Is the Twins the next progression? OB: Yeah there is another class being added for this year too. There will be the Production Twins and the Elite Twins. The Elite twins are engines that have been homologated by the AFT, and the production twins are stock engines like Kawasaki R6’s, SV 650 engines, the Yamaha 700… So the next one would be production twins and then you have to earn your way into the Elite as that is a pretty strong class. DH: With you being pretty much based in America, have you got a bike based back here, for if you have a spare weekend and there’s a meeting on? OB: We have another Yamaha over here, but we are planning to send it over to America as my third bike. So then we will have a Short Track Half Mile, TT and mile bike. We do have something else I can ride if I wanted to ride with the DTRA, but it’s not something we can worry about too much as we have so much on out there. DH: You have loads of support from the DTRA, with everyone keeping up to date online with your results, that must be good to know? OB: Yeah definitely a lot of people seem to behind what we are doing. Its very reassuring. 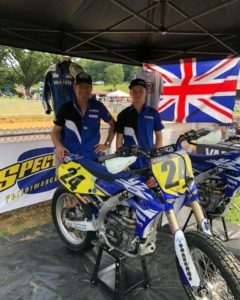 I would like to thank My Mum, Dad and Family for all of their support as well as Charlie Vanderlann and all if my sponsors who are..
DH: Thanks for talking to us and good luck for 2019. Where can people follow you and your racing adventures? OB: I am @oliverbrindley24 on Instagram, and Oliver Brindley Racing on Facebook.